ME610 - Tin Toy - 7H x 5"W x 6"D"
ME610 - Collectible Tin Toy - Battery-operated Hen - Lays Eggs - 7H x 5"W x 6"D"
Tin hen lays eggs; battery operated (use two "C" batteries - not included); slide switch ON to watch & hear hen lay her eggs! 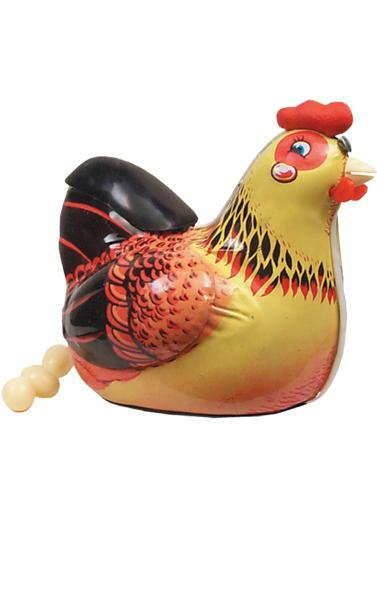 4 plastic eggs included - lift tail feathers to load eggs. Recommended for adult collectors.